Paradox Interactive announced a number of things for Surviving Mars today! We have new details about upcoming expansions (yes, more than one) and a release date for them too. Firstly, Surviving Mars: Green Planet, the one with the Terraforming will be launching May 16th. It was announced previously but now we actually have a date—hooray! However, they've also announced the Project Laika "content pack", which will allow you to put animals on the red planet which will launch at the same time. For an overview of what to expect for those who can't watch the video, see the details below. Terraforming: Terraform Mars and make the hostile planet habitable for humanity. Each decision you make while managing your colony can affect the Terraforming Parameters, which includes Atmosphere, Temperature, Water, and Vegetation, and ideally brings them closer to habitable levels. Monitor your progress on a planetary scale with the Planetary Overview UI. Once you’ve made the atmosphere breathable, open the domes and let your colonists breathe Martian air! Green Mars: Seed the surface of Mars with various lichen, grass, shrubs, or trees and watch as they begin to turn the Red Planet green. Low maintenance plants like Lichen can improve the soil quality to help more complex plants grow while Trees produce high seed yields for your colony to harvest. Be sure to monitor your soil quality levels to keep your plants healthy and growing. Special Projects: Take on seven challenging Special Projects like melting the polar caps, capturing ice asteroids, launching a space mirror, and more to begin shifting the Terraforming Parameters. Be careful, these projects will have a lasting impact on the planet and will trigger natural disasters! 7 New Terraforming Buildings: Construct seven new buildings that can help you terraform the planet or capitalize on the changes. Use the GHG factory to release greenhouse gasses into the atmosphere, the Forestation Plant to boost vegetation production, the Water Pump to fill a man-made lake bed, and more. Climate Calamities: Terraforming a planet can have unexpected consequences. If you release too many greenhouse gasses into the atmosphere you can trigger acid rain which reduces soil quality, or if an asteroid slams into the planet it will cause a Marsquake that can disrupt your colony’s production. Animal Farm: Breed up to eight different farm animals in the Martian Pastures including Cows, Chickens, Pigs, and more. Farm animals can be raised for food in the new In-Dome Ranches or Outside Ranches, depending on their size, and consume more water than crops. Martian’s Best Friend: Animal Pack features 25 different pets, ranging from your usual suspects like cats, dogs, and rabbits to some unexpected critters like llamas, penguins, platypuses. Once you terraform the planet enough, pets will go outside to explore nearby bushes and trees. Green Planet will be $19.99 at release and Project Laika will be $5.99, with Green Planet pre-orders now up but it seems you can only do so on the Paradox Store (not that we ever recommend pre-ordering anything!). The actual release will be across the usual stores like Humble Store, GOG and Steam on May 16th. I'm incredibly happy to see Surviving Mars continue to expand, although it's a little odd to have two different packs come out at the same time like this. I'm assuming it's due to different teams working on different things and supporting games long-term does need funding, especially when it's bigger stuff like this. Personally, I think it all sounds pretty great. Originally planned for release way back in 2016, the Linux version of OneShot was delayed for a long time but the wait is finally over. In the short announcement posted on Steam today, they included a fun bit of art and they did note how it was "long-awaited" with them getting help from "KockaAdmiralac" to finish it. Good things come to those who wait though, as the game has gathered praise far and wide and it's sat with an "Overwhelmingly Positive" rating on Steam. OneShot is a top down Puzzle/Adventure game with unique gameplay capabilities. You, as the player, must guide Niko through a mysterious world, utilizing items, characters and the environment to progress. The life of a lost child and the fate of a steadily decaying world hand in the balance…and not everyone is interesting in preserving them. Features according to the Steam page. You can find OneShot on Steam for £6.99/$9.99/€9.99. Hat tip to NuSuey (TuxDB) on this one who spotted it and posted about it in our Discord. Additionally, I am unable to try it currently as they haven't added the Linux content to whatever package my key came from, I've let them know so I can take a look sometime. Update: They've fixed that for me. I'm not exactly sure when the Linux version will be released for this one, as the situation is a little unclear right now. It is coming and it is confirmed by the publisher, however when I spoke to them previously they said the Linux version would be released later. It was only recently I saw someone say that Minecraft was stagnating, well it's smelling pretty fresh today with the massive Village & Pillage update out now. Villages got updated, to have a more unique look based on what biome the village is in. Villagers themselves also changed a bit, with fancier skins and a daily routine they will go through. The biggest changes are probably how the world should be a little more alive—with dangers. You might now come across Illager (evil villagers) patrols, with five of them wandering around looking for trouble. There's also a new type of Illager, the Pillager, who wield a Crossbow and they even have outposts for you to find. There's also now Bamboo, along with bamboo jungle and bamboo jungle hills biomes to go with it. The Java edition (the one that actually supports Linux) finally has pandas, a mob that has been in the Bedrock Edition since last year! This mob loves bamboo, they can breed and have cubs and the cubs can inherit traits through a special panda inheritance system which sounds fancy. There's also foxes, with red and snowy variants that like to come out at night. There's plenty of new blocks like a barrel, smoker, blast furnace, cartography table, fletching table, village bell, stonecutter and so on. The textures all got revamped too, although the old textures can still be used if you wish which they've now called "Programmer Art" which is quite amusing. There's also a new lighting engine, some performance improvements, a wandering trader, new flowers, a ton of new decorative blocks and so on. I really am glossing over just how much has changed! See the full changelog here. All sorts of features are coming like new branching short stories (Flashpoints), three new enemy vehicles, electronic warfare and a new mission type named Attack and Defend. This new type of mission has you take out an enemy base, to stop constant attackers before they overthrow you. There's plenty more coming with the expansion including two new BattleMechs, like the experimental Raven 1X which packs an advanced electronic warfare package as well as the Javelin, with close-range knockout power! This really does sound like an excellent addition to the game, which I really do need to spend a lot more time with. The expansion will be available from (and you can pre-order now) Humble Store, GOG and Steam. It's due out on June 4th and it's included in the Season Pass so no extra purchase if you have that. Killer Chambers is an action-platformer/memory-game hybrid. You must survive in small rooms filled with traps until one turn of the hourglass. Beware, even if you're hit only once you die! Can you hold out against an unforgiving bullet-hell in a narrow space? 12 hats that grant you special powers, as long as they don't fall from your head! You can find it on Steam for £3.99/$4.99/€3.99. For those who love their Minecraft-like games, Elsewhere from the developer of Hearthlands might be one to keep an eye on. Early days for it currently, so I will be keeping tabs on this one to see if they manage to make it into something special. I actually quite liked Hearthlands, so I'm keen to see more from this developer. They already have quite a lot of it done, as they've been working on Elsewhere for "over 5 years". Features are already included like LAN multiplayer, procedural world generation, over 50 different biomes and sub-biomes, caverns, tons of vegetation, a day and night cycle, tools, farming and so on. They're also working towards survival aspects like health and hunger, adding in structures, monsters and animals, machines and automation, weather and so on. Frankly though, they're going to need to give a good reason to play this over Minecraft or Minetest (with some mods). There's no getting around how similar it looks right now, so they need to explain what the differences are and why you might want to choose this when it's further developed. See more on the official site. It does mention that Linux is supported but they've yet to give it a proper launcher, they said on Twitter you will need to edit the config manually for changing options until that's done. Additionally, just today NVIDIA also put out the mainline 430.09 driver to add support for the recently launched 1650 and 1660 models. This driver also now has HEVC YUV 4:4:4 decode support to the NVIDIA VDPAU driver, along with support for creation of YUV 4:4:4 video surfaces in the NVIDIA VDPAU driver. On top of that this driver also now supports the GL_NV_vdpau_interop2 OpenGL extension, the nvidia installer has better support for openSUSE Leap 15 and SUSE Linux Enterprise 15 and they also upped the minimum supported X.Org xserver version to 1.7. There's more, so do see the 430.09 release notes here. Truthfully, this is one game I just didn't quite get the draw of. It feels like a really confusing mess of things all going on in real-time and it acts like you already understand the world and the characters despite being dropped in it without a single thing being explained to you. My gameplay of it could basically be entirely summarised by "what the hell is going on, what am I doing?". Some games make that confusion fun but not Save Koch. You can find Save Koch on Steam where it's 15% off until April 26th. In the near-future scientists made a discovery called the Sigma Theory, which could throw the world into complete chaos. Apparently it's capable of helping to create new weapons of insane power, as well as tools that could disrupt everything from the economy to the human mind. Sounds pretty wild, so naturally everyone wants a piece of the pie. You're tasked with putting a covert team together, to attempt to take control of it all. Interestingly, your first test is to actually secure a team, which doesn't always work out right. You pick a person and attempt to convince them to join you, picking an option after they ask "why should I join you" and sadly a bunch of my hot picks weren't interested in my answer—dammit. I have to admit the portraits are masterfully created though, great artwork! The basic idea is that you need to gather scientists and somehow get them to join you, to work on Sigma Theory research projects in a race against the doomsday clock. To do so, you send agents to various countries around the world and give them tasks like hacking, a little recon and so on. So far it seems quite nice but there's really not a great amount of depth to it for a strategy game from what I can see. For those interested in what's coming in future updates to the game, you can find their Roadmap here. The release has come with one Linux issue, where you're supposed to get some sort of intro movie after hitting New Account to begin only to be greeted by a black screen. They said it's a "codec problem or an issue with the internal movie reader in Unity" and so they will update it to skip it until a solution is found. For now, when you get the black screen just hit ESC and it skips it nicely. You can grab Sigma Theory: Global Cold War on Humble Store and Steam (GOG again have no Linux build), just remember it's not finished as it's an Early Access title. Going by what they've said about it, their time in Early Access will be quite short at only 3-6 months. Teeworlds, a game that's been around for a great many years now continues to be improved and updated with another update pushed out recently. For those who've never played it, Teeworlds is a side-scrolling platform action game played online across various game modes like deathmatch, team deathmatch and capture the flag. It's free, it's also open source (GitHub) and if you manage to get a bunch of people together to play with, it can be seriously fun. Since I last tried it, the game has been through multiple huge changes and some massive new features have been introduced. Most recently they added in an advanced scoreboard with game statistics, experimental joystick support, chat commands, bot cosmetics, the ability to change your skin without leaving a server and more. However, looking back over previous updates to the game (if you've not played for a while like me) even more was added like a new last man standing game mode, support for 64 players, a new skin system to customise your look from various parts, a bunch of new maps and so on. The game has honestly come along massively in the last year, pretty impressive. You can download it direct from the official site or from Steam. Worth a go! We even have a community server for it hosted by community member dpanter, look for "GamingOnLinux Deathmatch" in the server list. In ProtoCorgi you're a pup that means business, serious business. You play as Bullet, a cybernetic pup on a quest to save your owner. As short as it is though, I loved what I saw. Some lovely art, incredibly over the top action just how I like my shoot 'em ups to be and plenty of insane looking power-ups too. 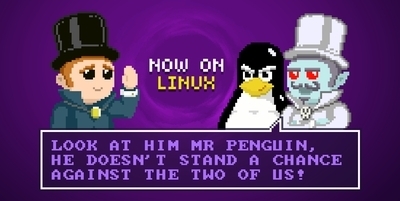 Previously, the Linux demo was only available on itch.io. 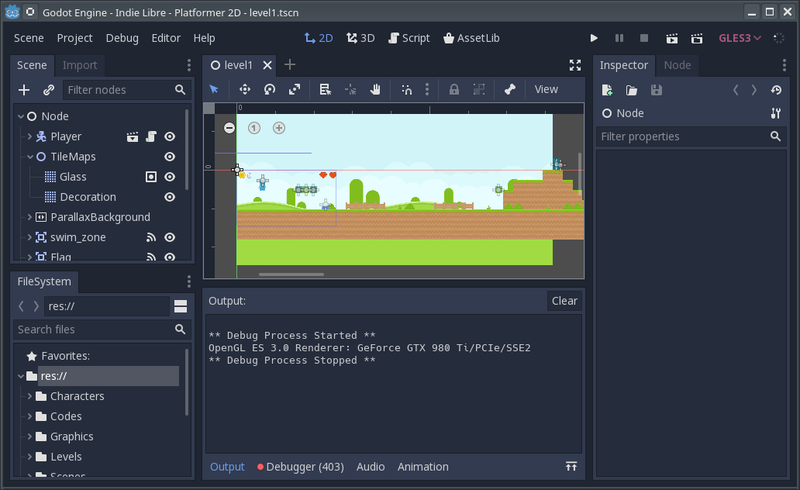 They've solved whatever issue they were having, so you can now find the freshly updated demo for Linux on both Steam and itch. No current release date given for the full version. Great to see another Match 3 game on Linux with Farm Life, ported over by Bearded Giant Games as part of their Linux 1st Initiative. I had the pleasure of testing this one before releasing and it's sucked away hours from me! Not a genre I play too often, partly because there's not many good Match 3 games available on Linux, so for me this does fill a little hole. Although I will fully admit that I was horribly addicted to Candy Crush on Android a few years ago. This brings back good memories of it, although without all the micro-transaction rubbish as Farm Life is a properly premium Linux game ported by a company that's trying to push for Linux support (see the Linux 1st Initiative). 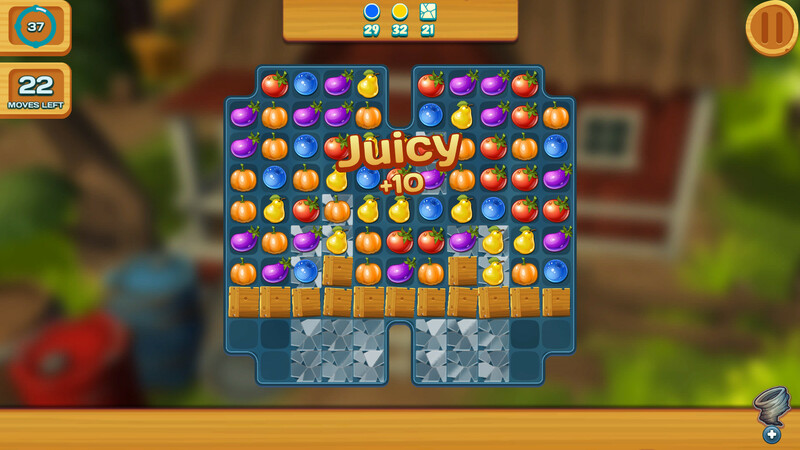 One quite nice feature in Farm Life is that you can play the levels across two modes: a Relaxed mode that allows you just to finish a level and take as long as you want, as well as a more challenging Limited mode giving you a set amount of moves to make and some of the levels on this mode will test you. There's 100 levels to complete, as well as a farming meta-game where you improve the farm as you progress through the story. Is it worth it? Well, I've played a good few hours of it recently and I've enjoyed it a lot, a nice casual experience. The Linux version works great too, as expected. You can grab Farm Life for $6.99 from the Bearded Giant Games store. The dark tone to the game is interesting, as Mr. Voice points out Misfortune is going to die today. I won't spoil too much, but if you look around and properly take things in, you will see the darker side to it and some of the backstory of what's been going on with a home that's not exactly a friendly place to be. The actual demo is very short at around 15 minutes and I thought it was incredibly well done as a taster. The art is lovely and atmosphere is seriously fantastic and the setting has me wanting to know a lot more, so I'm looking forward to the full release. I'm especially interested in the choices system, to see what happens based on what I do. I have to say that I love chat between Mr. Voice and Misfortune, quite amusing. There's so much that I now feel like I need to know from the demo! You can find the Linux demo on Steam, sadly itch.io only has a demo for Windows.